Lawmakers Say Britain Should Consider Longer EU Exit Process if Needed - Integration Through Media ....! bloc are agreed, a committee of lawmakers said in a report. Prime Minister Theresa May formally notified the EU of Britain's intention to leave by triggering Article 50 of the membership treaty on March 29, 2017, setting the clock ticking on a two-year exit process. 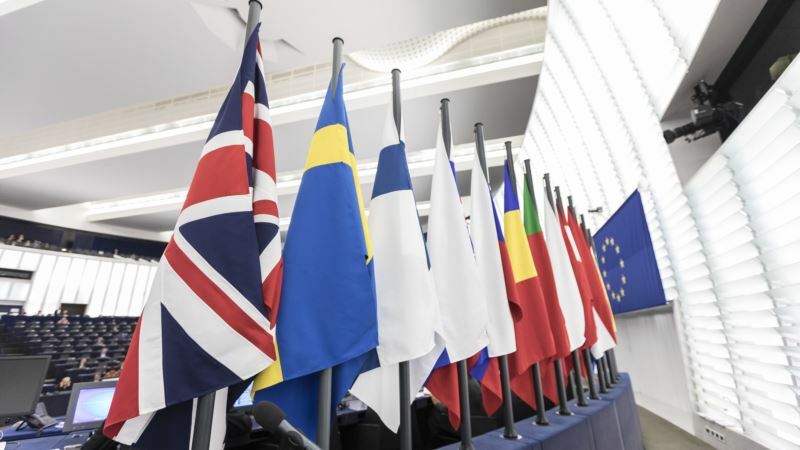 Britain has said it wants to have the basis of a trade deal set out with the EU by October, but the Exiting the EU Committee said in a report published Sunday that deadline would be tight. “In the short time that remains, it is difficult to see how it will be possible to negotiate a full, bespoke trade and market access agreement, along with a range of other agreements, including on foreign affairs and defense cooperation,” the committee said. The report also said it should be possible to prolong, if necessary, the length of any post-Brexit transition that's agreed upon by Britain and the EU. ending on Dec. 31, 2020. The Exiting the EU committee, made up of lawmakers from all the main political parties, also called on the government to present a detailed plan on how a “frictionless” border between Northern Ireland and the Republic of Ireland would work. The Irish border is a key sticking point in negotiations between the U.K. and the EU, as Britain has said it wants to leave the customs union but does not want a “hard” land border with customs checks.